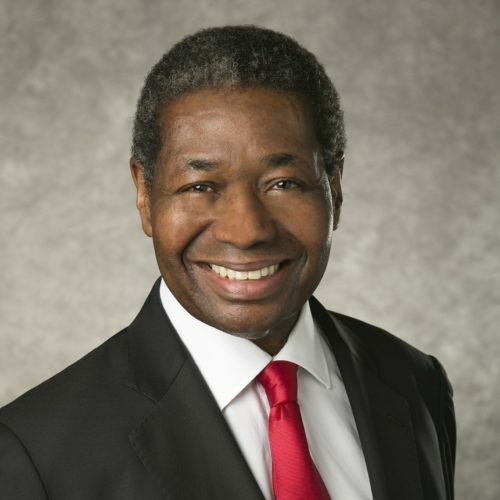 Larry E. Thompson is Vice Chairman of DTCC and Chairman of the Board of DTCC Deriv/SERV LLC. As Vice Chairman, Larry leads DTCC’s public policy engagement with key regulators and lawmakers globally and serves as a senior advisor to the firm. He is also the Chairman of the DTCC Operating Committee and a member of the Management Committee. Larry began his legal career with The Depository Trust Company (DTC) as Associate Counsel in 1981. He was elected Vice President and Deputy General Counsel in 1991, Senior Vice President in 1993, General Counsel of DTC in 1999, Managing Director and First Deputy General Counsel of DTCC in 2004, and to General Counsel in 2005. Previously, he was a partner in Lake, Bogan, Lenoir, Jones & Thompson. Larry began his legal career at Davis Polk & Wardwell. Larry is a 2005 David Rockefeller Fellow and also former Chairman of the Securities Clearing Group and former Co-Chairman of the Unified Clearing Group. He also serves as an Independent Director on the Board of Directors of The Federal Home Loan Bank of New York (FHLBNY).